As we near Batangas with the sight of Malarayat ranges along the road, flashback and memories of my last Mt. 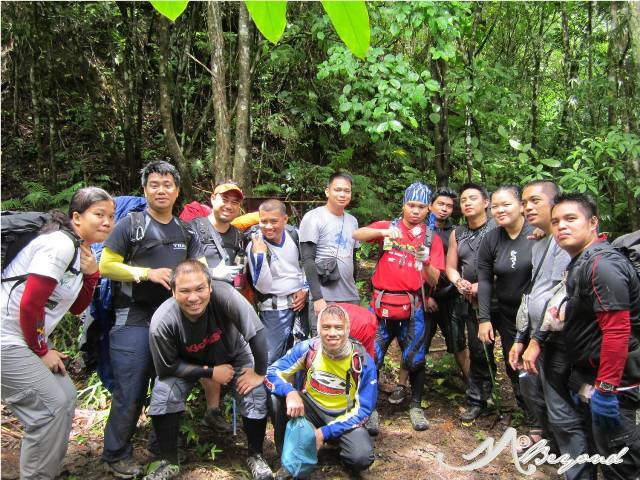 Malipunyo summit attempt more than 14 years ago with my then college mountaineering group stroke in. 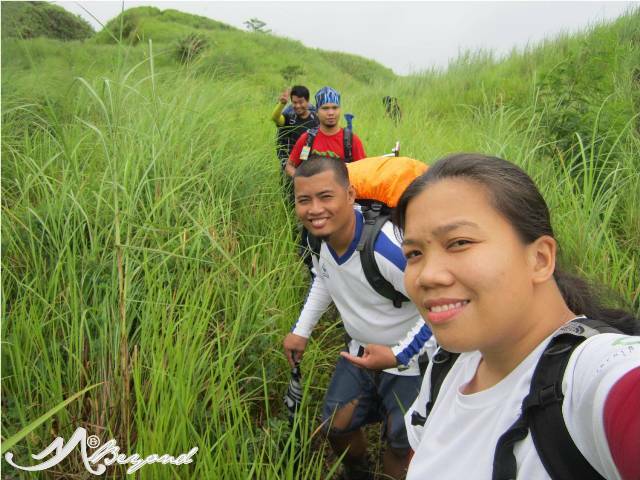 Back then, Manabu Peak was a shade away from a hiker’s waddle to the highest peak of Malarayat ranges with Susong Dalaga as a side-trip. 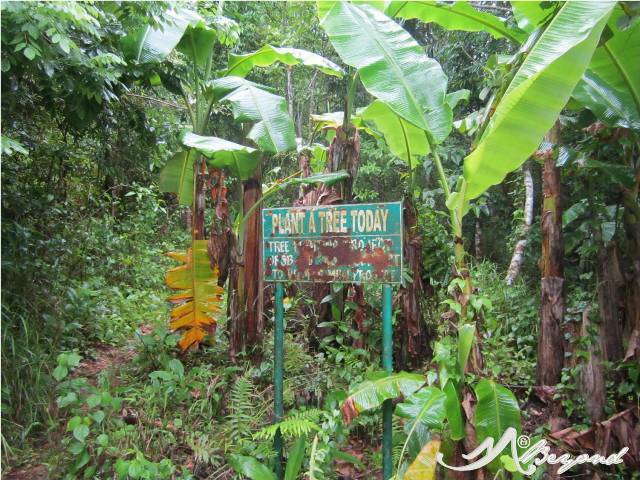 Today, we will dare the less-ventured traverse of Malipunyo and Manabu Peaks with a prayer of a safe weather amidst the storm looming our way. It was past 10am when we tramped the trail of Mt. Malipunyo but during our break at the last sari-sari store, a heavy downpour greeted us. With no sign of the rain coming to a halt, we continued our trek by the muddy trail with water streaming along. We reached the river at 12:20pm lagging behind our IT. With that, we pursued the summit trek missin’ out lunch and notwithstanding the torrent blinding our way. 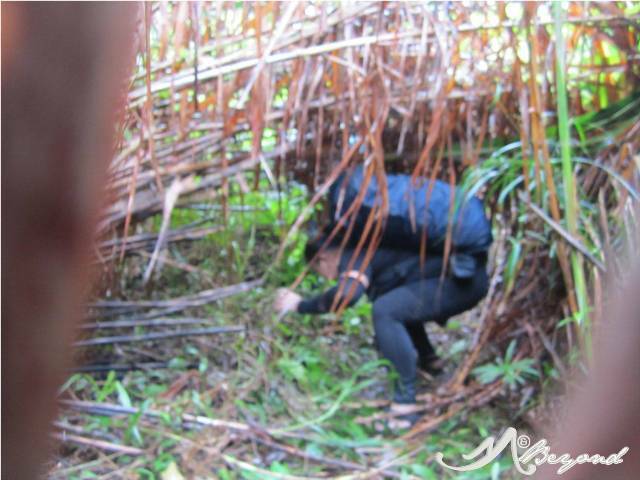 Lucky for us, hubby and a friend decided to stay guarding our packs and had prepared our meal as well. 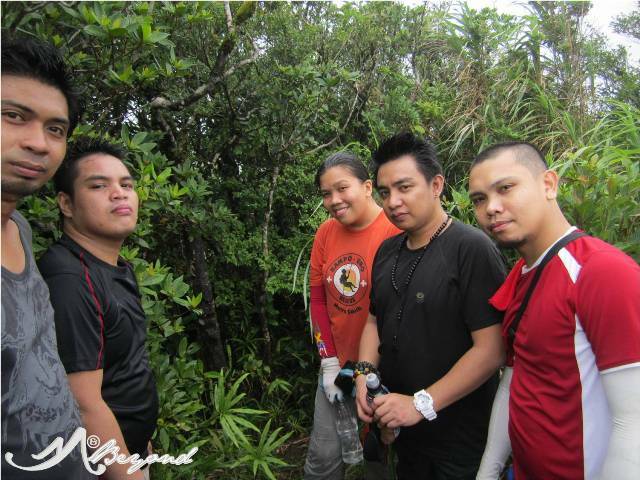 Minutes before 2pm we arrived at the 1st campsite soaked and shaken but with fortitude intact to reach Malipunyo’s crest. 45minutes more we reached the view deck and as expected, no sight of even the adjoining ranges. Half of the team reverted from the climb but six of us proceeded despite the squall. Finally at 330pm we reached the summit with nothing but mist and rain at glimpse. Just 10 minutes after a short summit stay, we started our descent… My hunger troubled me more than the freezing weather. I cared less of the tumbles and scrapes caused by slithers and thorns. I even passed by the team who withdrew earlier from the summit trek. I can feel already my intestines munching my tummy. In less than an hour, I was back at the river and with no minute wasted, I gobbled the food served by hubby. 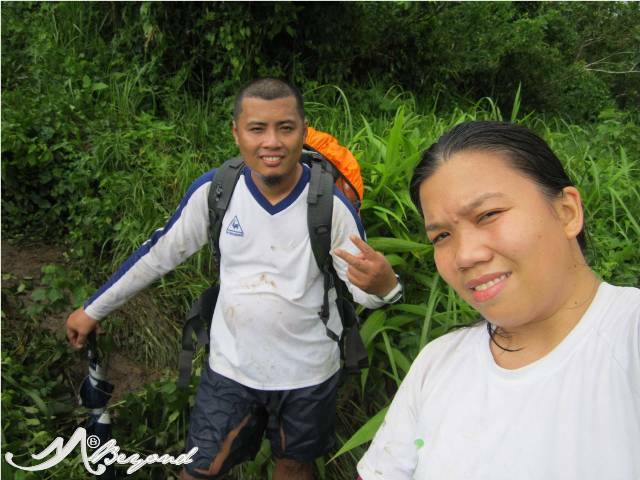 It was 520pm when we started our one hour trek to Biak na Bundok, our camp for the night. If my memory served right, 14 years ago, it was at the same area that we scuffled against the gale passing this mountain fold … Now, the same weather plus the rain hampered the setting of camp. We knew of an incoming typhoon but we failed to anticipate of a land fall earlier than projected. Dinner was missed as the climate held us inside our tents. 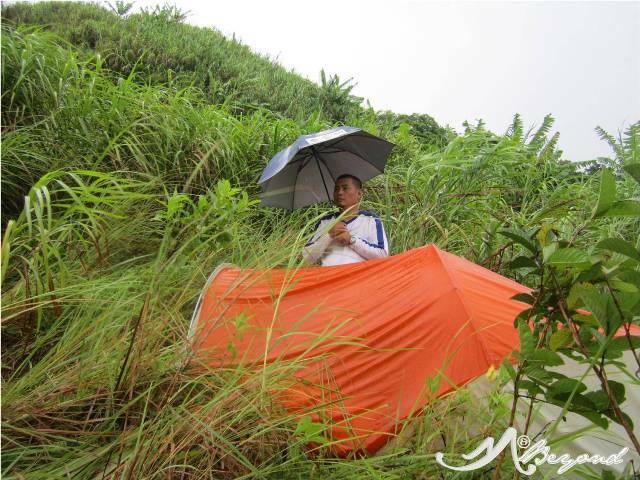 As the night grew deeper, the wind and the rain’s flurry plus water gushing underneath, tested our tent’s might. I can’t believe it stood by the challenge though on several occasions I was up holding the poles to ensure not being pulled-out… Nostalgia of Mt. Kanlaon climbed reminded me that this will pass, any storm will pass. I just needed to brave the night to welcome the beautiful morning that awaits tomorrow. It was near 8am when I had a peek of the weather outside while hubby was at the other tent for our dinner errr breakfast. We learnt that Signal No. 2 hit us last night. Huh! Half of the team was already hesitant to pursue the traverse plan but the Lord granted us a tranquil weather an hour thereafter. 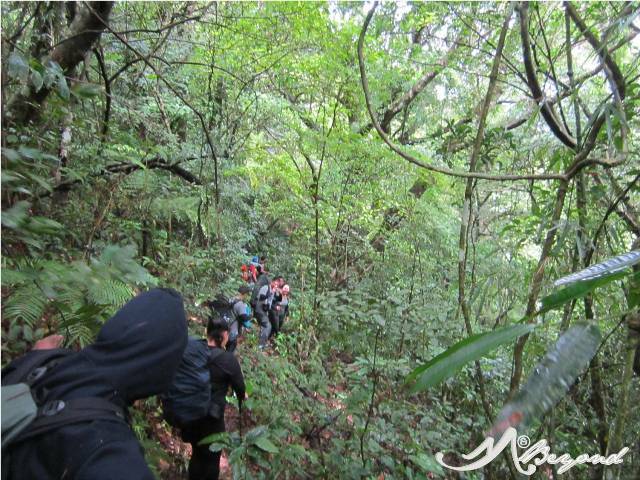 Slowly at 940am, we inched towards Manabu Peak breaking through dense vegetation and tall cogon grass. The trail disappeared on several occasions and the slippery trudges are the challenges that completed the cross. wow! astig. pero buti nalang safe kayo. 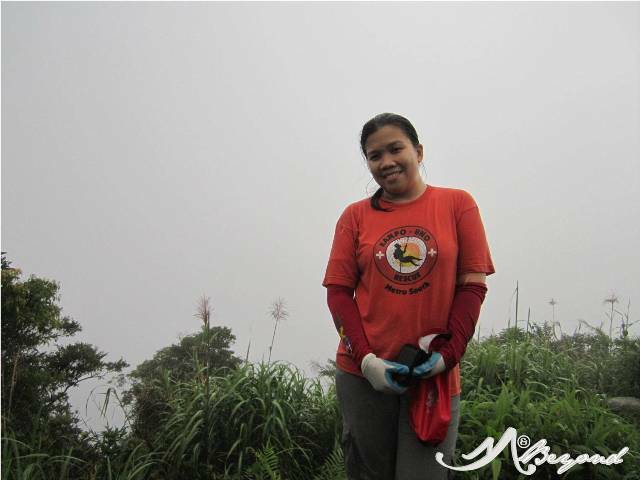 naalala ko ang exp ko dito nakakatakot sa dulas di ko mabilang naging yearend climb ko ng 2012 ang ang traverse na to..
bukod sa dulas, super dami "teka-teka" plants... its really advised to wear arm guards and gloves.. It is great to know that you are all safe. 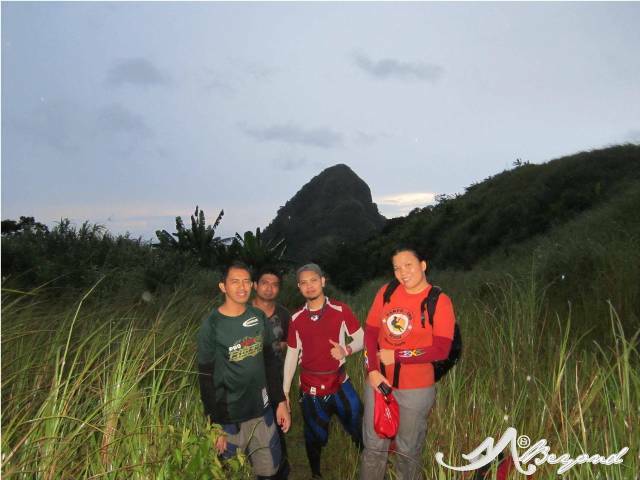 I remember this day that we were about to climb Pico De Loro early that morning when typhoon Gorio made a sharp turn to Banahaw where the mountain you climbed in this article was only a few kilometers away; to which eventually went past the summit of Pico De Loro on the same dawn too.